The Beechcraft C17L Staggerwing was the first aircraft produced by the new Beech Aircraft Company of Wichita, Kansas. It was a gamble for President Walter Beech and Vice-president Ted Wells who was chief designer of the aircraft. Produced during the depths of the Great Depression, this expensive aircraft was designed as a high-speed, comfortable business airplane. 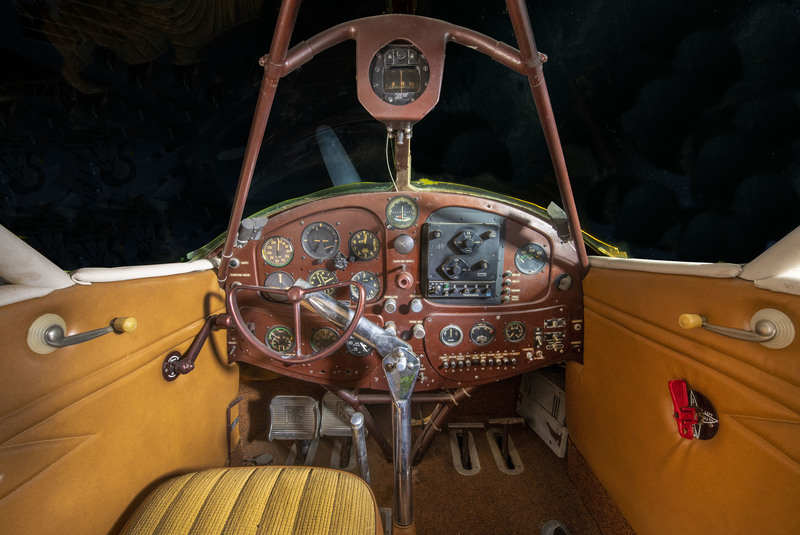 Highlighted in this image is the cockpit of the Beechcraft C17L Staggerwing.